Tanya Habjouqa began her early career in Texas photographing migrant communities. 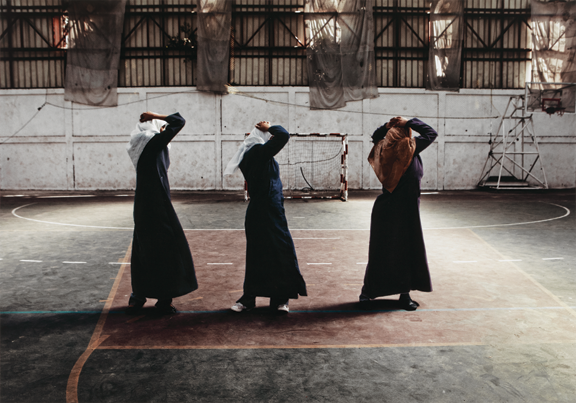 Since moving back to the Middle East, she became one of the founding members of the Rawiya photography collective and continues to document everyday life and social issues. Her photographs follow the struggle of the region’s residents as they attempt to live under oppressive conditions. 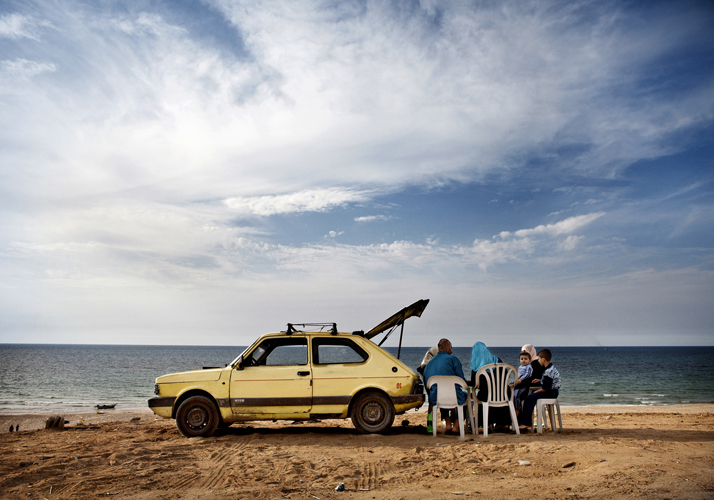 Six photographs from Habjouqa’s “Women of Gaza” series are on view in She Who Tells a Story. Taken throughout Gaza over two months in 2009, Habjouqa’s photographs are not images typically associated with siege and conflict. Instead, Habjouqa captures moments of levity in everyday life. Like all residents of the occupied territory of Gaza, women enjoy limited freedom. Habjouqa says, “By focusing on women, I gained access to all sectors of society, men and children too, and it was quite often the women who were struggling to maintain a sense of normalcy in their destructed lives and households.” Connecting intimately with her subjects, Habjouqa gently portrays the bright side of their not-always-so-bright lives. Visit the museum and explore She Who Tells a Story, on view through July 31, 2016. Meet Tanya Habjouqa during an artist talk at the museum on July 27, 2016. This entry was posted in Artist Spotlight, NMWA Exhibitions and tagged rawiya, she who tells a story, Tanya Habjouqa, Women of Gaza by Women in the arts. Bookmark the permalink.